3rd Dog Script: e Comics What are the Odds? 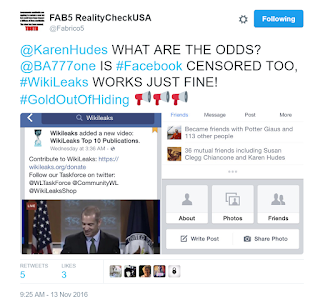 What are the odds Facebook is Censoring Karen Hudes and Betsy Banfield-Malone, and not Wikileaks? A search of Wikileaks shows the latest post on their timeline. However, a search of my page doesn't show any of my posts. The same thing has happened to Karen Hudes as well. "Many Americans — 62 percent to be exact — get some news from social media, according to the Pew Research Center Of that group, 18 percent say they do so "often." "But Zuckerberg said the amount of fake news on Facebook is minuscule — though it's not always easy to separate fact from fiction. Some websites post incendiary headlines and have internet addresses that, at first glance, may trick readers into thinking they're reading a story from a legitimate news outlet." "Fake news has become more predominant because the barriers to creating a website and articles are much lower, Thales Teixeira, a professor at Harvard Business School who specializes in the "economics of attention," told NBC News." The odds are for also censoring websites with information that the mainstream media does not want on their social network platforms. 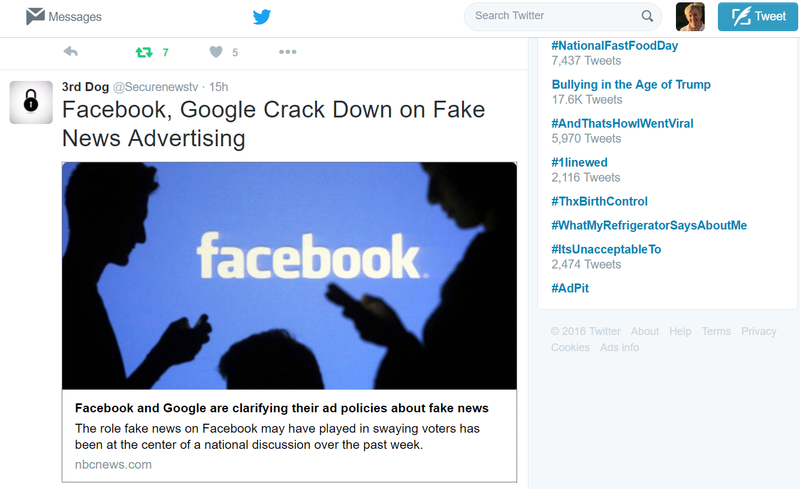 Why would one of my followers compare the searches of Wikileaks and Betsy Banfield-Malone on Facebook? 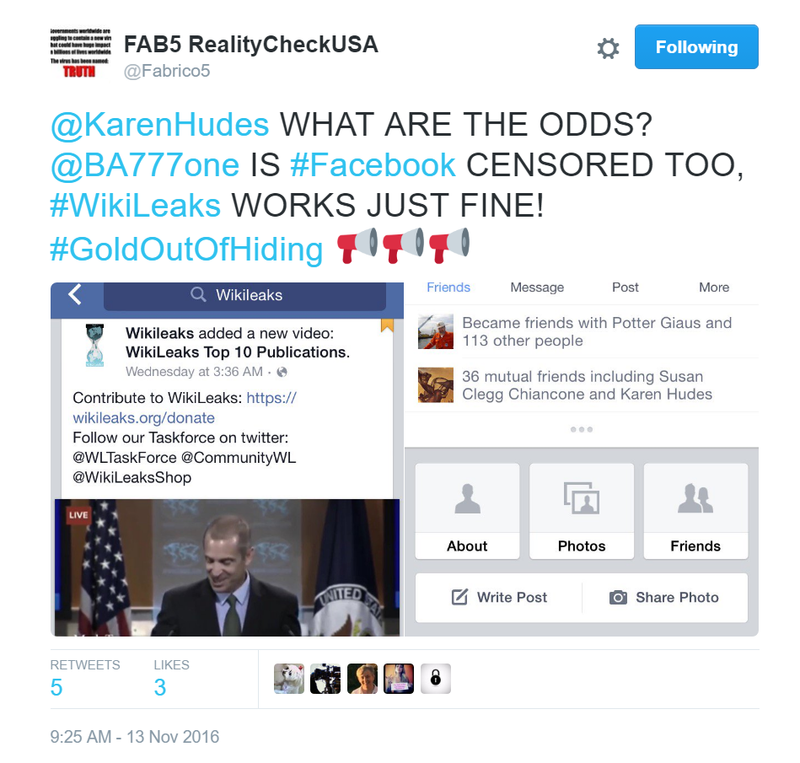 "WikiLeaks specializes in the analysis and publication of large datasets of censored or otherwise restricted official materials involving war, spying, and corruption." What is Wikileaks? 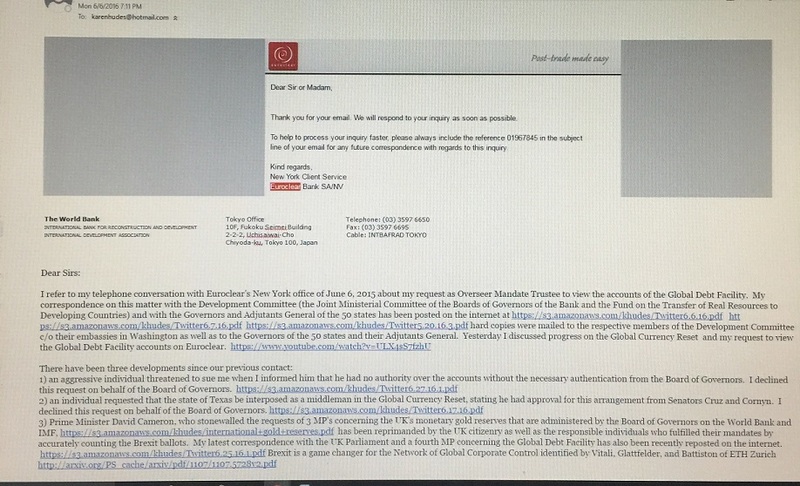 It has been noted by those who view the information shared and research the facts that it is real-time whistle-blowing on the International Monetary System. Secure News TV 3rd Dog Weebly Blog and 3rd Dog Script specializes in the analysis and publication of large datasets of censored materials involving war, spying, and corruption. There is no revenue from ads on my websites or Karen Hudes' publications because we both are working to expose the truth and assist humanity. Therefore, to prevent the spread of an even greater truth lurking on the internet than what Wikileaks has revealed, we are censored. "One reason it is so difficult to end the corrupt regime at the World Bank is that there has been 'virtually' no press coverage." "The New York, Tokyo and Washington embassies have not contradicted the press releases and the other statements that I am publishing over the internet on their behalf. You have seen how I cleared the March 3, 2015, press release on the Global Currency Reset that Presswire deleted this week. "That is also why I am one of seven people who have access to Euroclear."